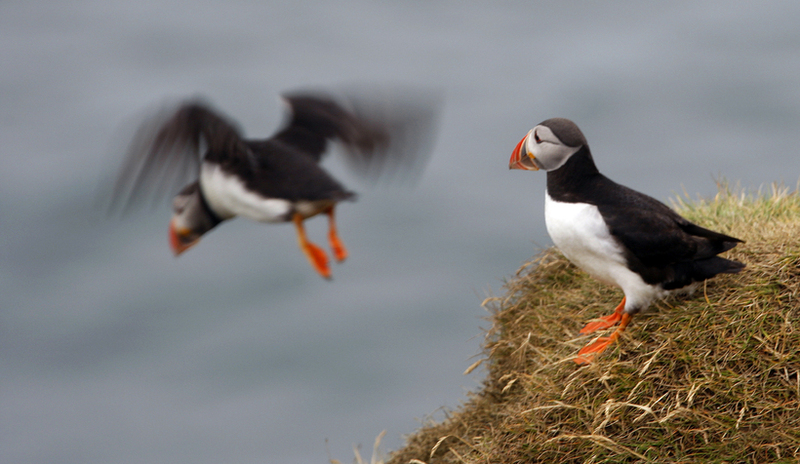 "The puffin has become Iceland's most precious bird, more precious than the eider duck. This is not based on numbers but I think it's a safe statement to make," says ornithologist and photographer Jóhann Óli Hilmarsson. The puffin has sometimes been called the penguin of the north and Hilmarsson says that the puffin is much better at swimming than flying. Professor of ethnology at the University of Iceland, Aðalheiður Guðmundsdóttir thinks that a more obvous choice for an Icelandic symbol would have been the raven, which is mentioned in mythology, folklore and poetry. 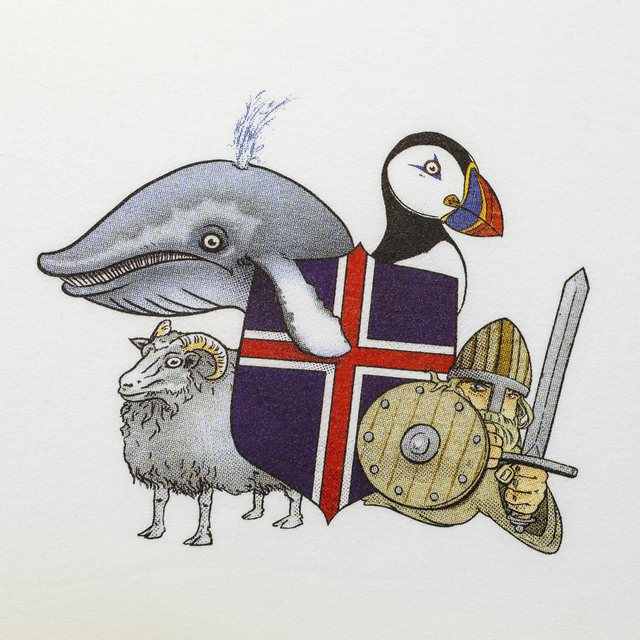 The raven, along with the golden plover and the swan were a large part of Icelandic reality, unlike the puffin which is mostly found in the Breiðafjörður islands and the Westman Islands. 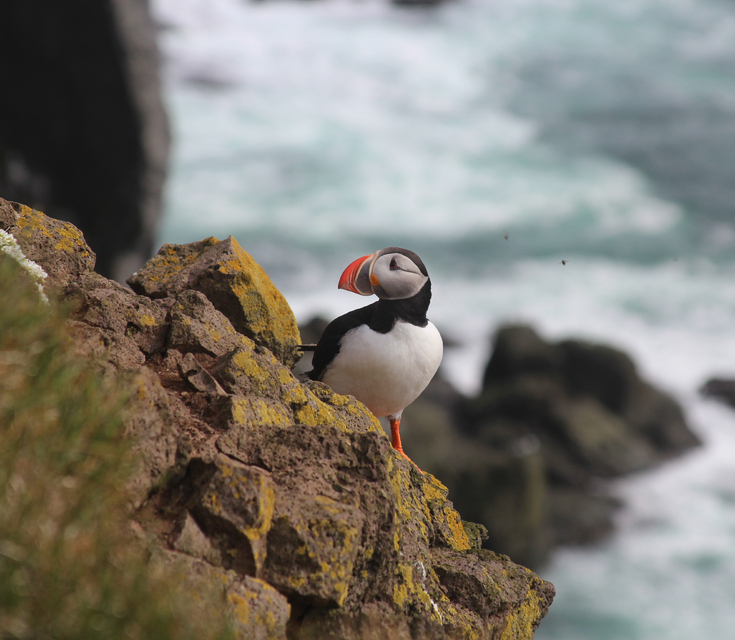 Around three million Atlantic puffins breed in Iceland, and they also breed in Iceland, Norway, Greenland, Newfoundland, and many islands in the North Atlantic such as the Faroe Islands and the British isles. Folklorist Árni Björnsson believes that the puffin craze is caused only by foreign tourists. "I started working as a tour guide in 1970 and was surprised at the enormous interest in the puffin. I suppose the puffin certainly looks amusing. " He adds that personally he has no connection with the puffin. 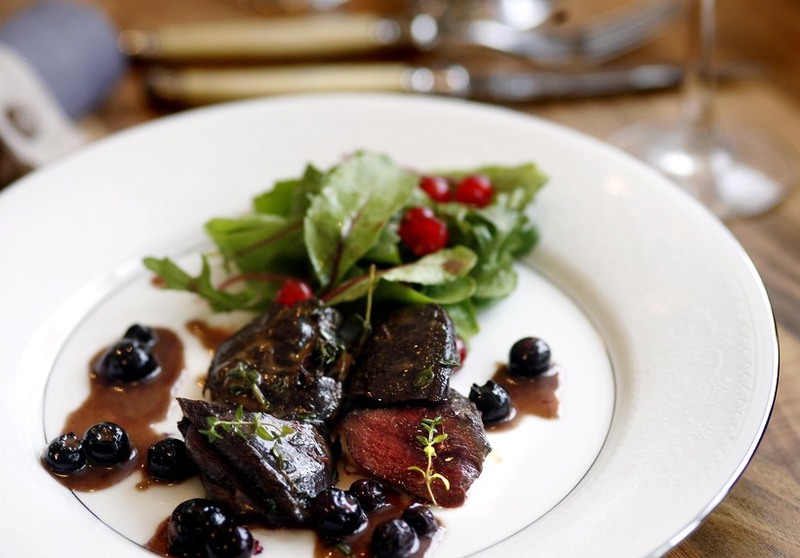 "If I could choose a national animal I think it would be the Icelandic lamb or even the Icelandic cow." 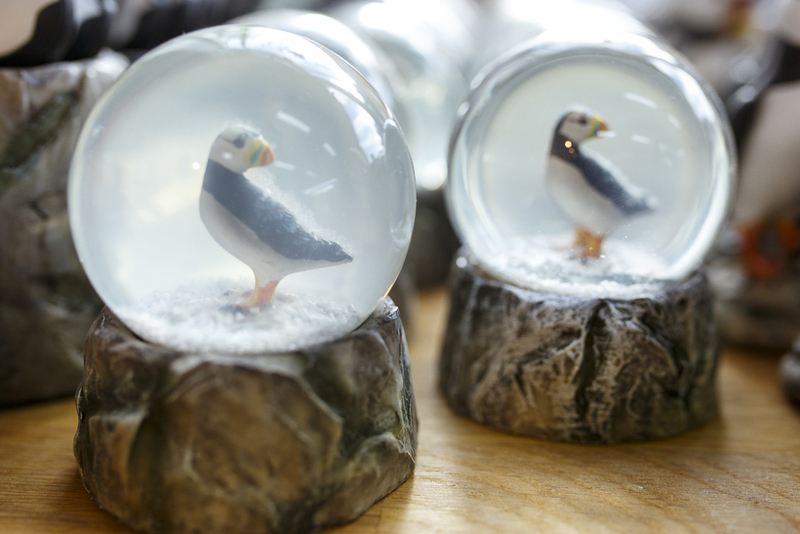 Shopkeeper Örn Árnason was one of the first to manufacture a puffin souvenir. "I had it made in China in 2005. At the time there were a lot of puffin postcards and maybe the occasional puffin keyring but it hadn't turned into the tourist craze that it is now." He thinks tourists like it because it's cute. "Isn't that what people are after? I mean they watch funny cat videos on YouTube." 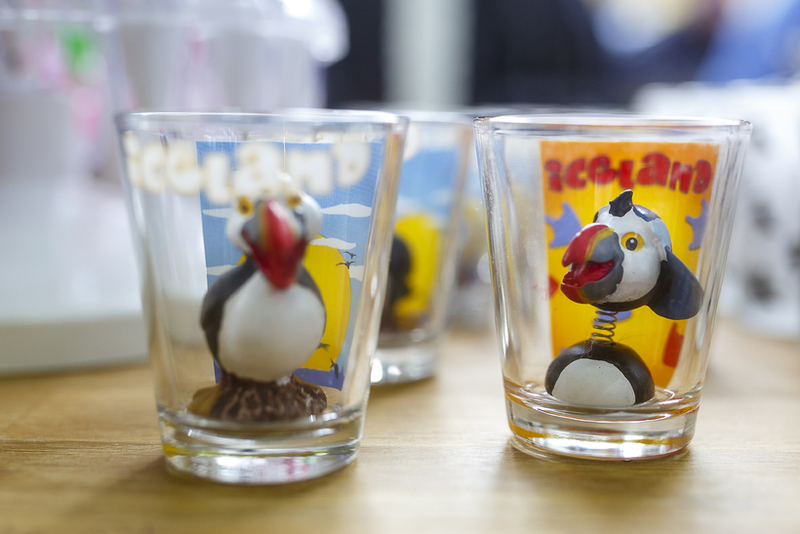 Alexander Þór Crosby, manager of the aptly titled store, Lundinn ( the puffin) says that there's a great demand for puffins. 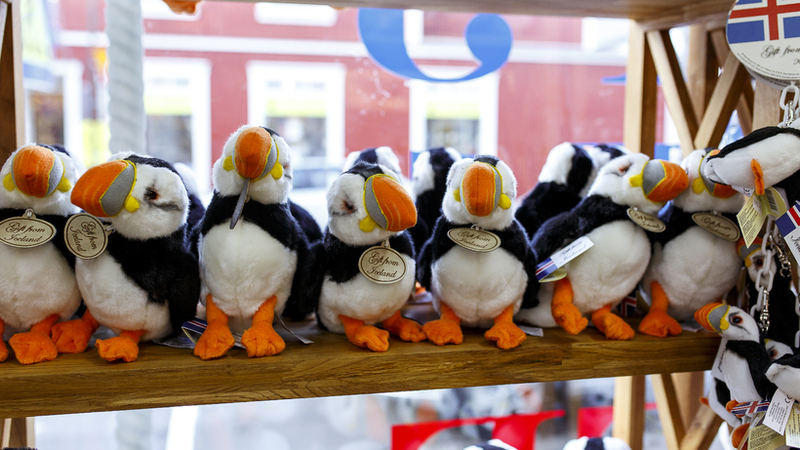 Lundinn offers an endless variety of puffin souvenirs ranging from plush toy puffins, t-shirts and mugs to keyrings and statues. 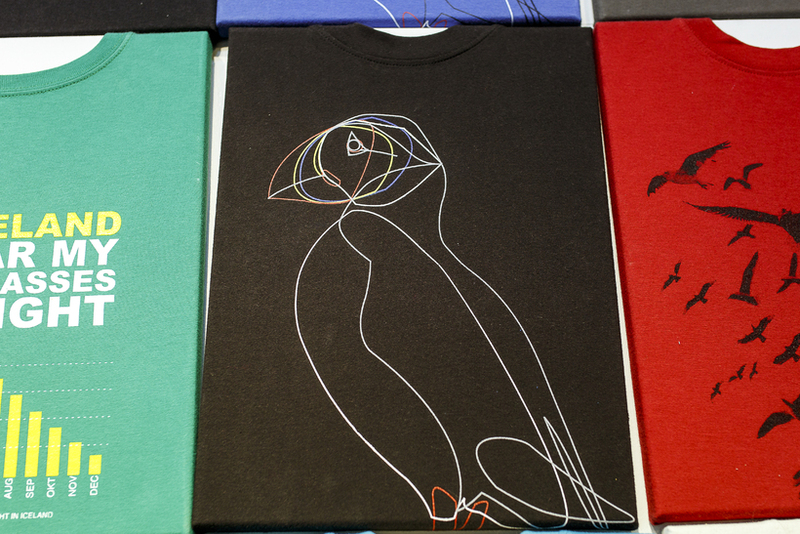 The puffin is also the symbol for the Reykjavik International Film Festival which is currently taking place. The festival's grand prize is a statue of a golden puffin, and each year the festival programme presents a puffin on its front cover in a variety of guises. Last year the puffin was a giant monster puffin in true B-movie style and this year the puffin is a sleek latex-wearing female superhero. The Icelandic puffin has also been considered a delicacy in Iceland, especially in the Westman islands where it's been hunted for centuries. Hilmarsson thinks that puffin hunting and puffin watching don't really go together. "Many tourists have a hard time with puffin hunting. They find it a bit barbaric of us seeing as we don't really need it for sustenance."